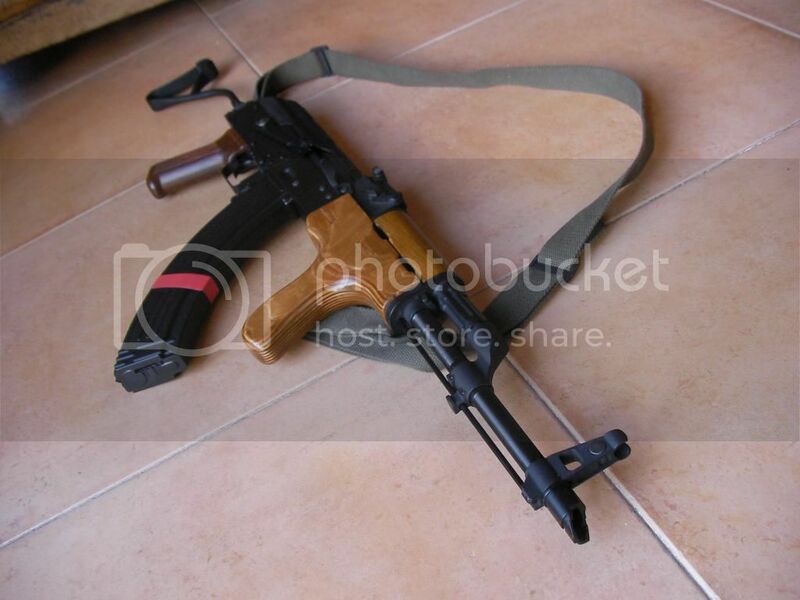 Suffice to say that the AIMS is the Romanian version of the soviet AK47 or, more precisely, the soviet AKM. and externally anything that goes with LCT bodies. This means more pins and rivets and less screws, like the real deal. Being as sturdy as this is, I cant see why you would need to change anything. You can also add real steel furniture. 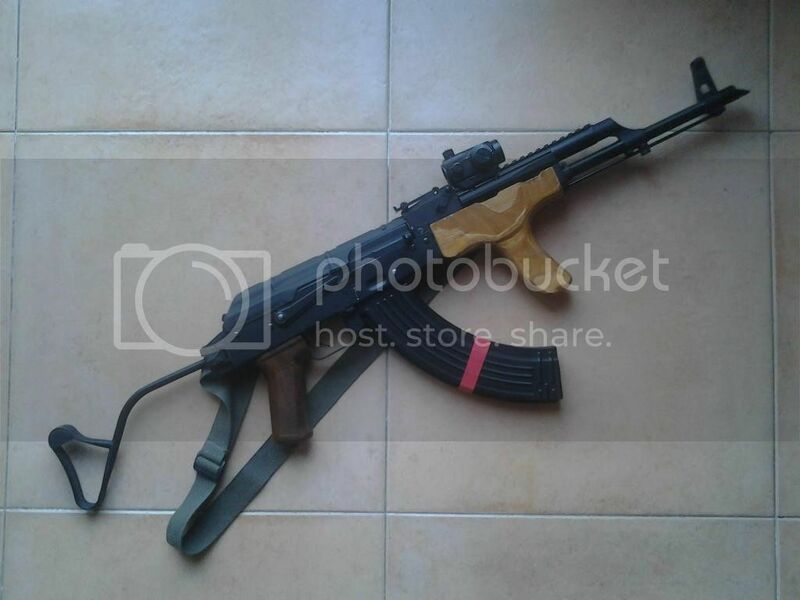 Please note that my pictures show the gun with a Dboys pistol grip, as I prefer the fake Bakelite over the Cyma matte black grips. Also, I’m using a cheap Chinese sling. 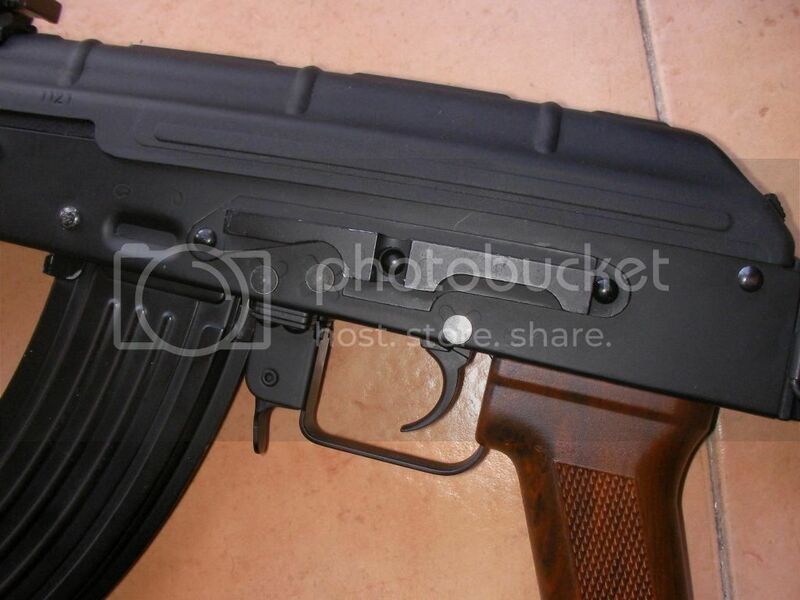 In some pictures you will see a longer magazine, it’s the Cyma RPK-47 hi-cap magazine. Everything else in this gun is stock. 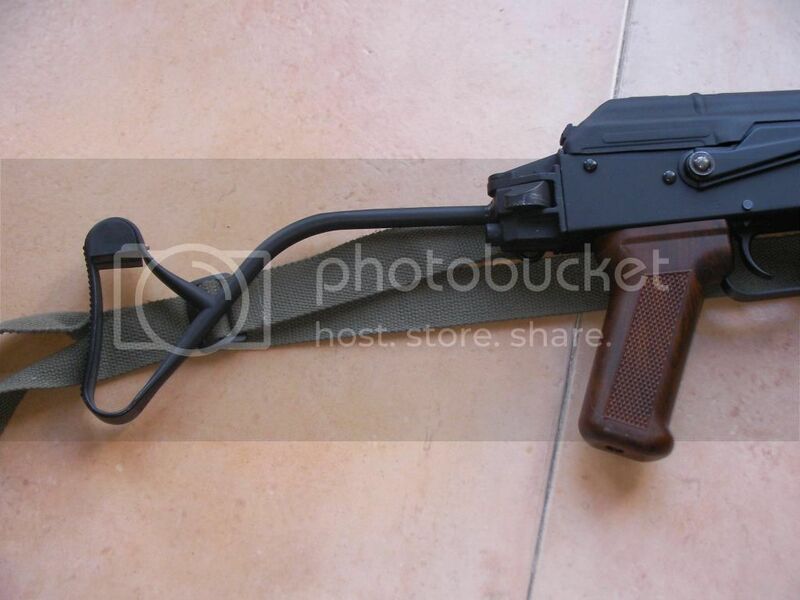 a 600 round metal hi-cap magazine, a battery and charger, instruction manual and a cleaning rod. 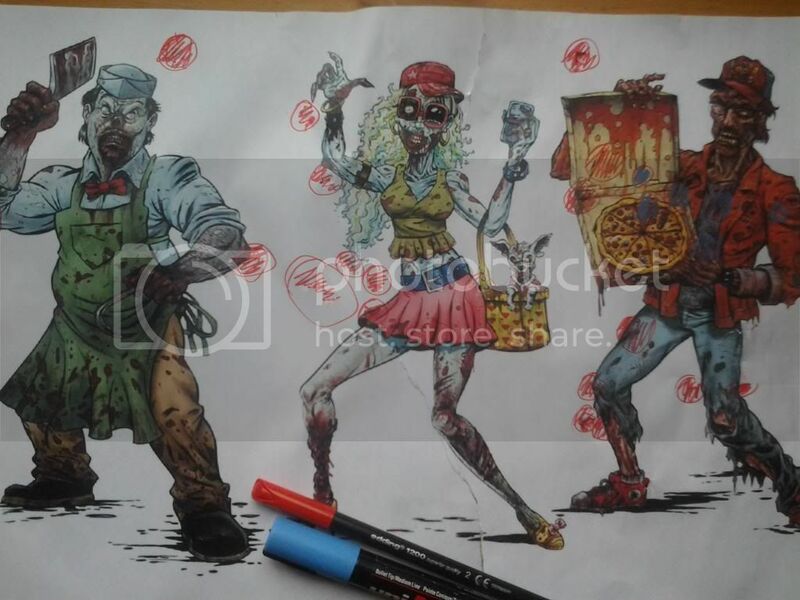 Clean the barrel first thing. look that it provides. Also, this type of wood is not as sensitive, I believe. And if it gets a dent, it’s harder to see it. 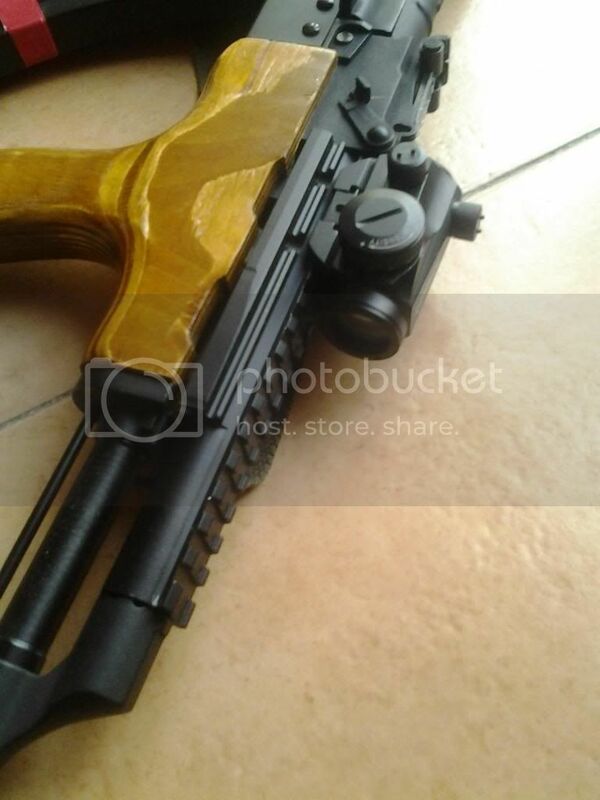 You can always install a RS wood kit or airsoft kit that you like better. The front grip is not in everyone’s taste, but you got to admit it’s sets this gun apart. Furthermore: it’s really helpful. 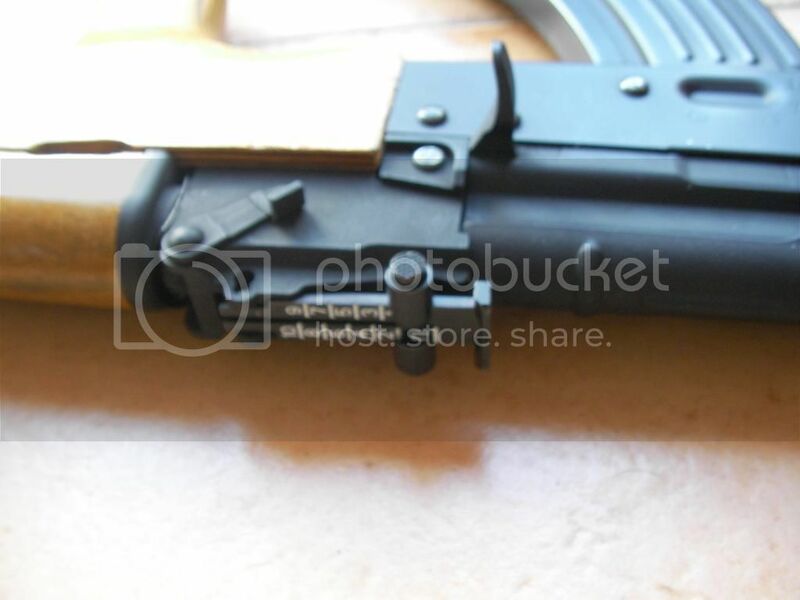 The barrel does have the correct satin finish. There’s a dummy cleaning rod underneath it. 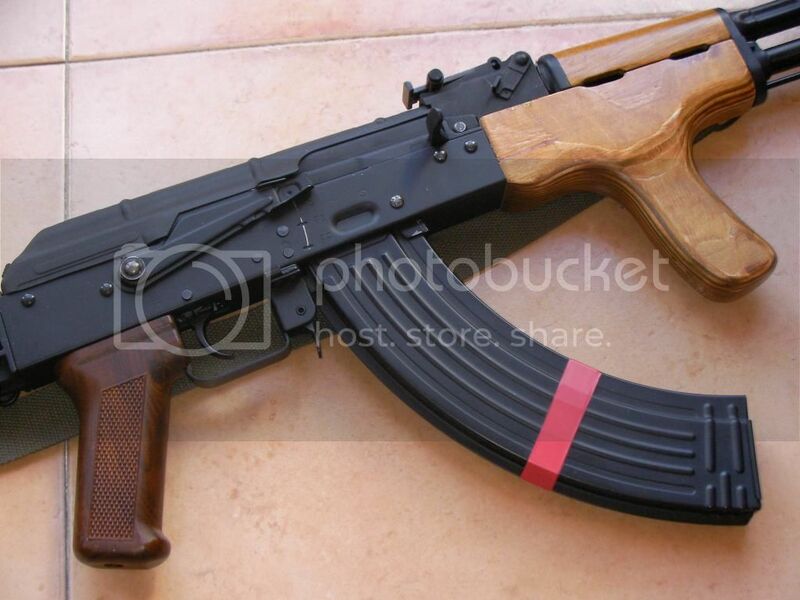 You may install an AK type grenade launcher, like the Dboys GP-25. move to the right, too, especially when shooting in full-auto. I put a little glue on the FH, no pin, so it doesn’t move around. this gun is very, very strong and sturdy. No wobble anywhere and you could use this as a club, if need be. fixed with some tape, like seen in the picture; no more wobble. The stock folds to the right side, controls are still accessible and locks into place by the stock hinge. 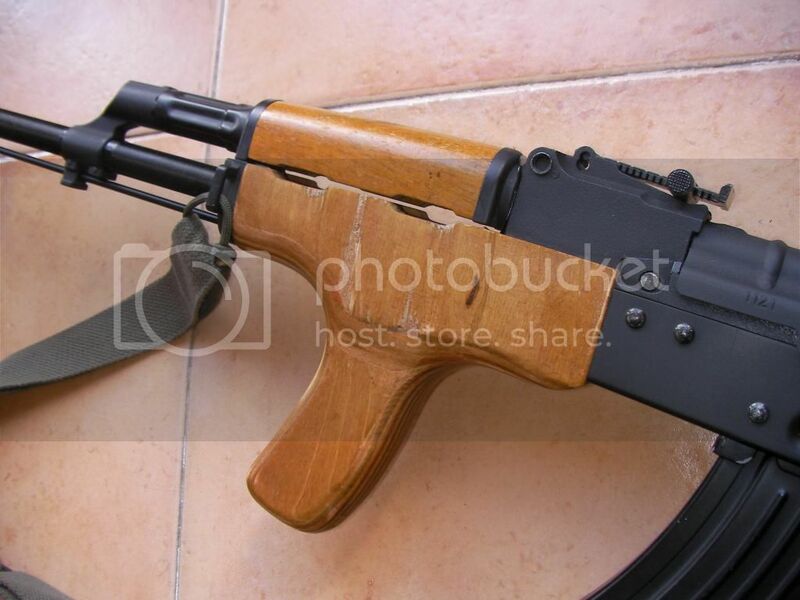 handguard, so you could use even a 12V battery. You can use stick batteries or any thin LiPo battery, which I recommend. Im using 7.4V LiPos and they give great trigger response and ROF, with no need for MOSFETs or any type of modification. Plug and play. Weight: 3,4 kilos unloaded (7 pounds). like it and this coat hanger stock is actually very comfortable. 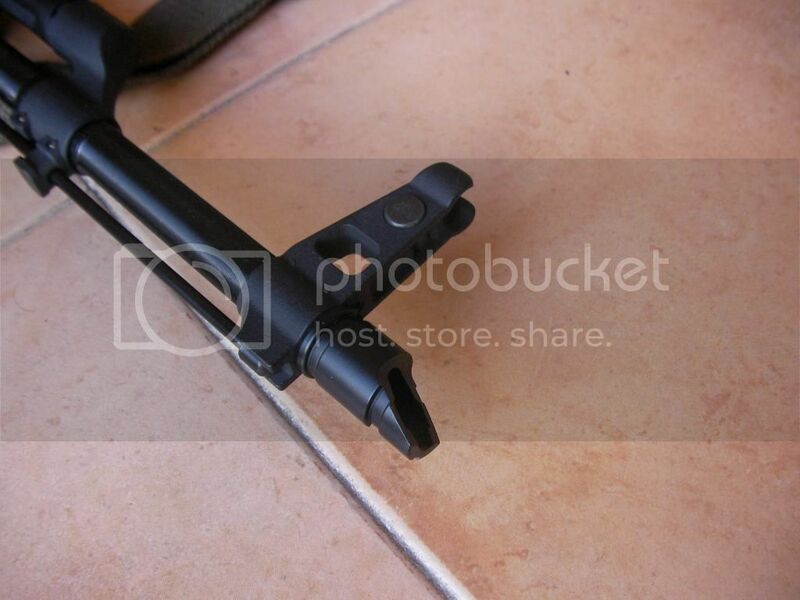 The charging handle and fake bolt move to reveal the hop up adjustment lever. Hop up is very smooth and is held in place by friction. Haven´t bothered to change the rubber, as mine works just fine. 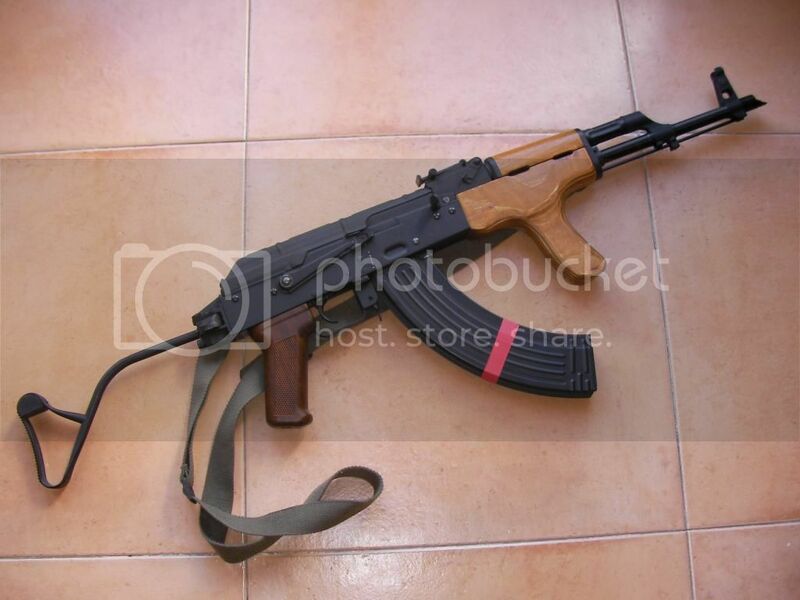 Another one of the treats of the Cyma AIMS is the electric blowback. Before you even think about it: no, it doesn’t hurt the gearbox. It gives the gun a very pleasant noise and rattle, the GB even has some recoil and is very impressive, visually (CHECK VIDEO). if these motors and gearboxes withstand a 450 FPS spring, why wouldn’t they be able to cope with the minimal force of the EBB? I have never heard of any AEG failing because of the EBB. 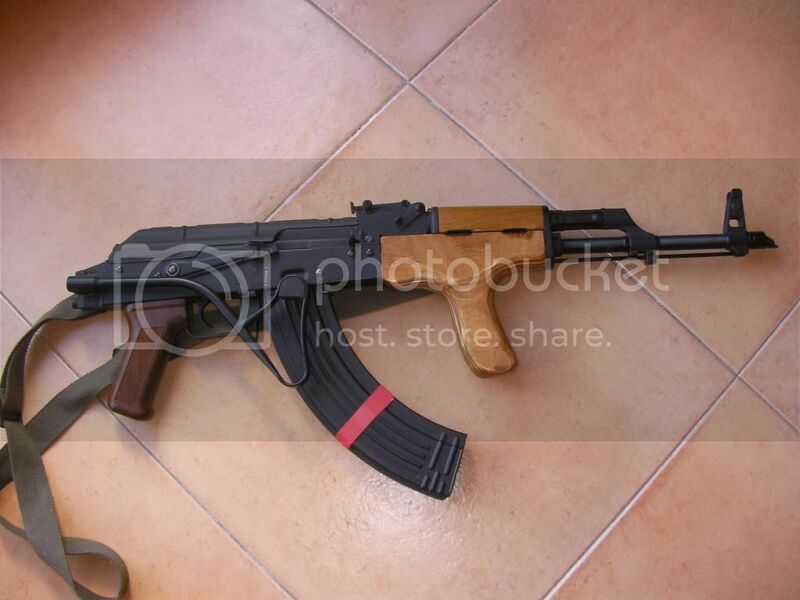 and you have a very loud AK… as it should be… because it’s an AK. 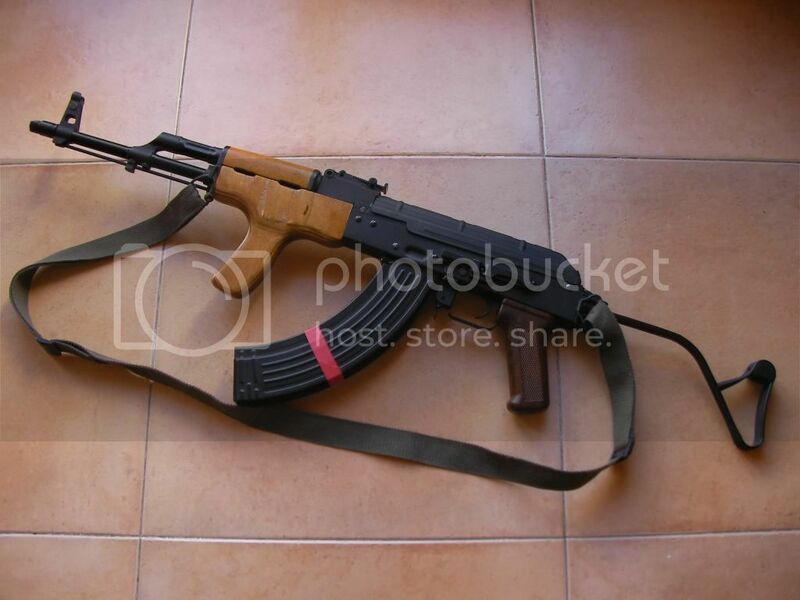 Cyma UltimAK replica gas tube rail, like here (not mine). cutting into the bb stopper of the mag, so I removed it. AIMS sucked and looked like it would fall off any day. to select full auto, which is in the middle. All measurements were performed with KSC 0,20 gram BBs and a Big Dragon chrono. No hop up. Cleaned inner barrel. you don’t have much accuracy beyond this distance. - slightly wobbly stock, fixed with tape.